Amnesia: A Machine For Pigs is a great horror sequel filled with tons of NOPE moments. Even its glitches are freakin' scary. 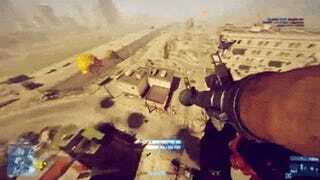 This has to be the most stylish Battlefield 3 entrance ever. 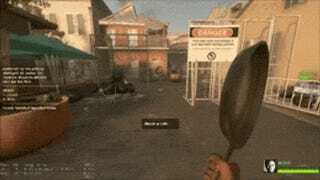 Staying on topic: The most stylish melee stunt in Left 4 Dead 2. 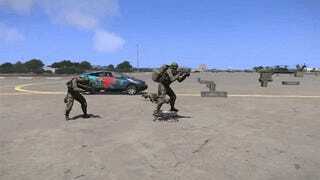 Here's an alternative use of the drones in ArmA III. Wrestling is a serious sport for serious people. Come on and slam! 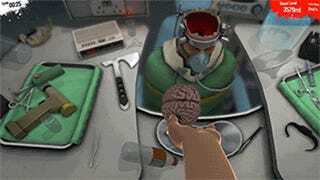 The GIF that made all the brain surgeons super-jealous. 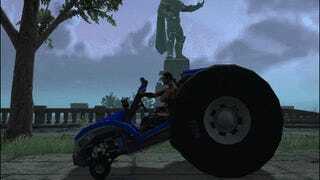 GTA V will be released in a few days, but let's not forget its evil twin, Saints Row IV. Tractors gone wild. 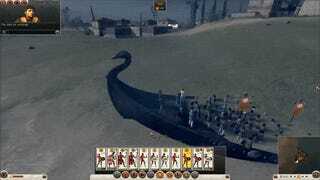 And one of the famous sand boats of Total War: Rome II, now in motion! Found or made a great, funny gif lately? Hit the comments and post them!